Sepsis, A Wily Killer, Stymies Doctors' Efforts To Tame It : Shots - Health News It's a deadly combination of infection and inflammation striking more than a million Americans every year. Doctors can treat the symptoms of sepsis, but they still can't treat the underlying problem. 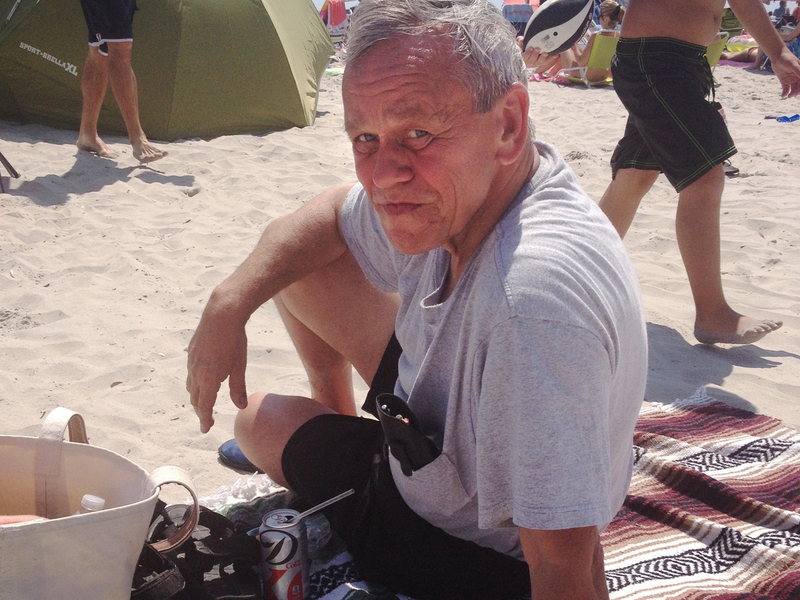 Bob Skierski at the beach in Avalon, N.J., just hours before he fell ill and went to the hospital. He never went home. In the summer of 2012, Rodgers and her extended family took their annual trip to the Jersey Shore. But that trip came to an abrupt halt after her 62-year-old father, Bob Skierski, developed a serious medical condition: a blocked artery in his abdomen. "He was not getting any blood flow to his legs, basically as a side effect of smoking," Rodgers says during an interview in her home in Haddon Heights, N.J.
Doctors in Philadelphia replaced the damaged blood vessel, but a year later it failed again, and Skierski was back in the operating room. "There were several complications with that surgery; basically it ended up being a 9- or 10-hour surgery," Rodgers says. The blood flow to part of her father's intestines had stopped, so the doctors removed a section of his colon. 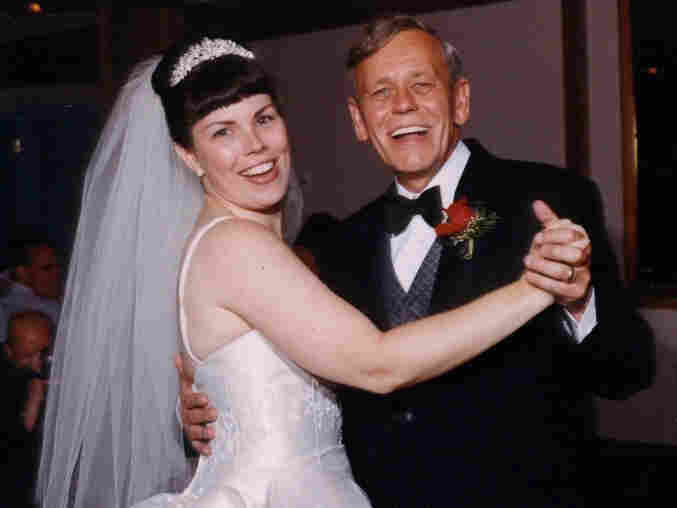 Jennifer Rodgers and her father on the day of her wedding. Skierski would need another operation, but first he would have to wait in a long-term acute-care hospital while his abdomen healed. He was hospitalized for more than six months. And just a few weeks before his next surgery was scheduled, there was more trouble. "He got very confused, he was very sweaty, incoherent at times," Rodgers says. "His blood pressure and heart rate became unstable. His body temperature, his white blood cell count had gone up. And those are all warning signs of sepsis." Indeed, an infection had suddenly turned into the life-threatening condition called septic shock. A team of doctors swarmed Skierski, pumping him full of antibiotics and doing what they could to prevent a common consequence of sepsis: a drop in blood pressure and multiple organ failure. "I had never seen anyone that sick before in my life," Rodgers says, noting her father was on so many drugs he had two IV poles — one on each side of his bed. Bob Skierski survived this bout of sepsis, though in a weakened state. A few weeks later, the doctors decided to go ahead with the scheduled surgery, hoping to end his months-long sojourn in the hospital. "His whole team of doctors was pleased with the surgery; it went well. He truly was really filled with joy that he got through the surgery, and at that point we were all very hopeful" that he could finally go home, she said. "Unfortunately that didn't happen." Instead, Skierski got a second bout of sepsis, and this time the doctors couldn't bring it under control. It rapidly took his life. Most vexing is that doctors can only treat the symptoms. They don't have an effective treatment for the underlying condition. "So I guess that actually raises several questions," says Dr. Edward Sherwood, a professor of anesthesiology at the Vanderbilt University Medical Center. "Do we truly understand what causes sepsis and are we attacking the right target?" For example, it's not clear whether boosting the immune system or turning it down is actually more helpful. It may in fact be different, case by case. Dozens of drugs have been developed in mice for sepsis, but every one of those has been a bust in people. Rodgers with artwork inspired by her father's struggle with sepsis. "There have been many billions spent in many different categories, and none have been actually useful," says Dr. Ronald Tompkins, a surgeon at Massachusetts General Hospital. He says that's because "there's a tacit understanding the system would behave similarly in people as it does in mice." But Tompkins and colleagues have found that mouse immune systems are very different from human immune systems, so the rodents are a questionable stand-in. "And even worse, the studies that we do in young adolescent mice are in laboratories, never exposed to the wild world," Tompkins says. "And that's not people." Human immune systems are constantly challenged by germs and shaped by the real-world environment. Tompkins says mouse studies have been so disappointing that he's looking for novel ways to study sepsis, if he can get funding to pursue them. Sherwood still believes mice can be useful for studying sepsis. But he does agree that you can't use mice as a stand-in for a hospitalized patient. 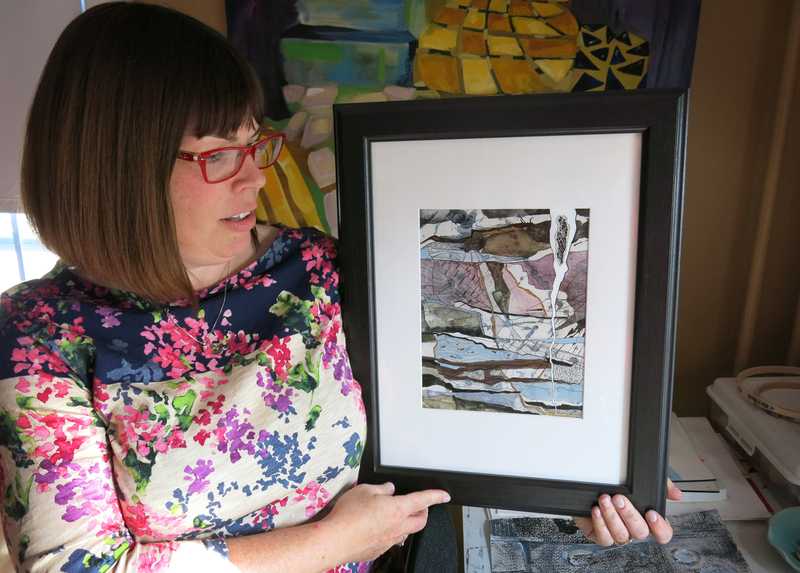 Rodgers created a series of mixed media paintings that reflect her experience with sepsis and her father's hospitalization. Click the image below to read more. "You can't really support a mouse for days on end as you would in an ICU for a person, and because of that I think we don't really have an accurate model of what happens clinically," Sherwood says. As a result, researchers have simply used trial and error as they struggle to treat the symptoms. One thing that can help is prompt medical attention — especially when an infection is accompanied with some of the symptoms of sepsis, such as confusion, rapid heartbeat, shaking and skin rash. Doctors can more quickly start antibiotics and other needed treatments. 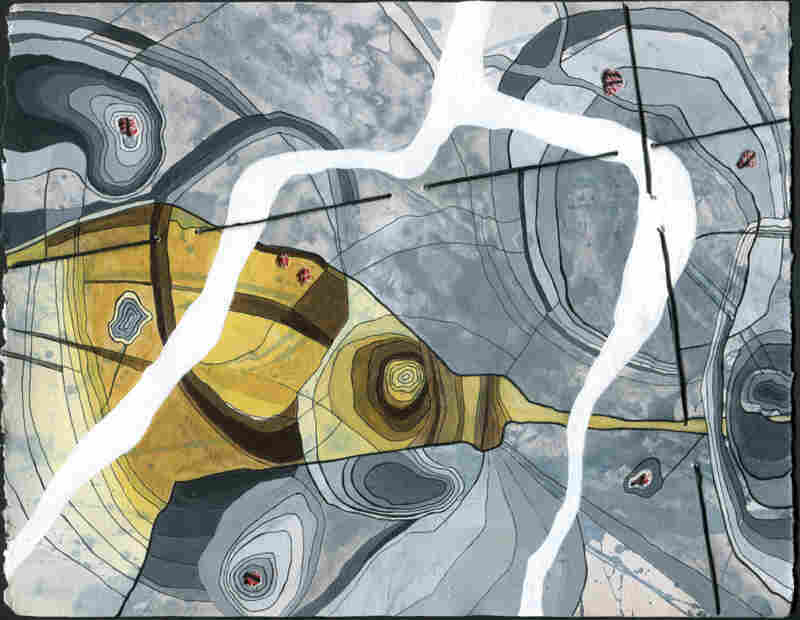 After her father died, Jennifer Rodgers decided to do what she could to raise public awareness of sepsis, through art. She's an artist and high-school art teacher. 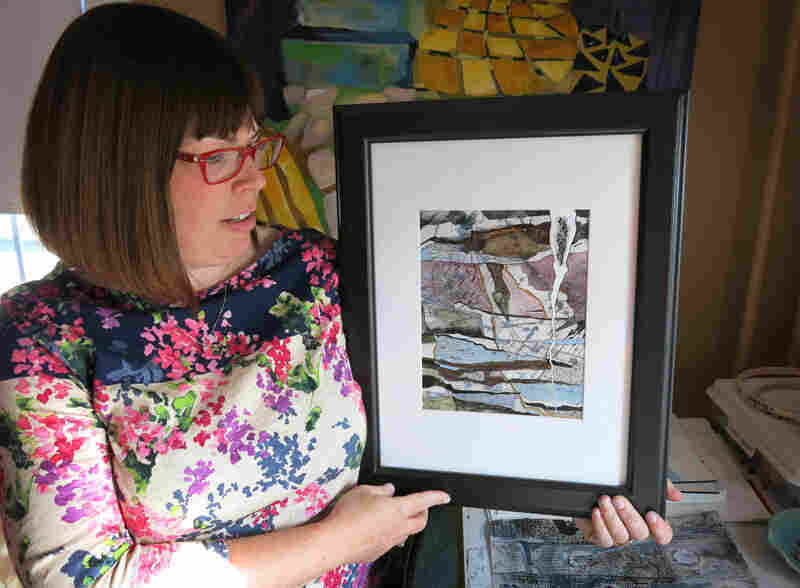 She has already produced a number of pieces that capture her feelings about her father's long hospital stay and ultimate death from sepsis. "I hope to eventually make a series specifically about sepsis, as a way to educate people so they're aware," Rodgers says. "Watching what sepsis does is just devastating. I know it can strike anybody at any time. And having seen it myself, it's horrible. It's truly horrible."